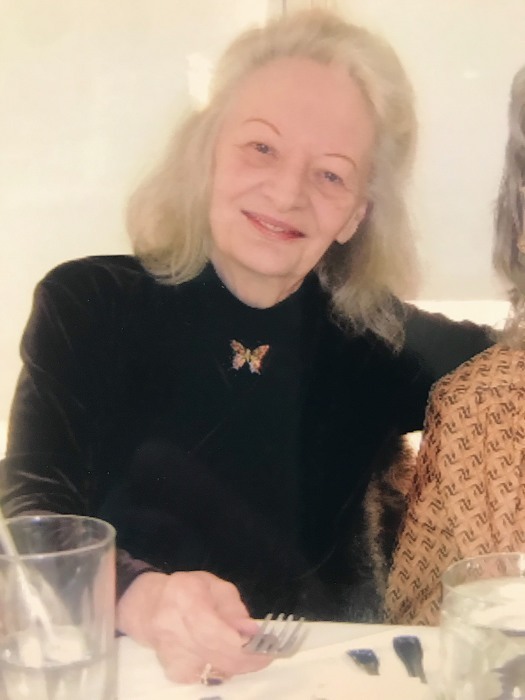 Obituary for Joan DePew | Arthur F. White Funeral Home, Inc.
DePew, Joan, 85, of Farmingdale passed away on January 22, 2019. Beloved mother of Branden Plank (Mary) and Corrin Doherty. Loving grandmother of Andrew and Amy Swanson (Kyle). Cherished great grandmother of Stella and Zachary. Dear sister to the late Shirley. The family will receive visitors Sunday, January 27, 2019, 2-4 and 7-9 pm at Arthur F. White Funeral Home, Inc., Farmingdale. Gathering at the funeral home Monday, January 28, 2019 at 10 am before interment at Pinelawn Memorial Park.